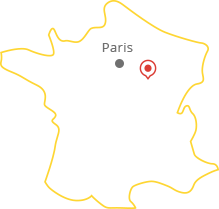 Practical information of the tourist Office in Puisaye-Forterre - Burgundy. Practical information, are essential elements for you to have the best possible holiday. So meet our staff at the tourist office, we’ll answers your questions and tell you all about, accessibility, WiFi hotspots, and we’ll even be happy to collect your feedback.